Pomegranate is a juicy kind of fruit which is not only delicious but also nutritious. 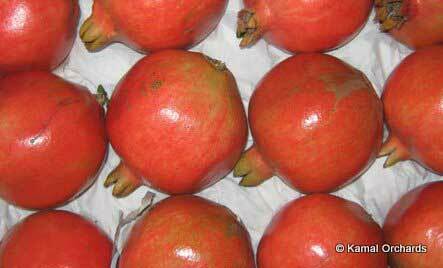 We offer the Pomegranate Plants that are high in quality. The Pomegranate Juice Plant is cultured in our own plant in a sophisticated manner properly maintaining all the conditions required for better growth. The Pomegranate Plants of our nursery, thatâ��s why, survive for a long period and produce more fruits as compared to others. Consequently, we are listed among the leading Pomegranate Tree Plants Manufacturers in this country.